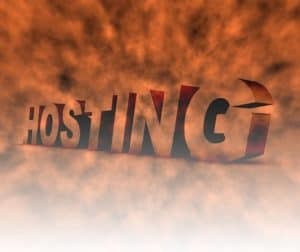 Cloud Hosting vs Vps Hosting Which is the Best? The working environment of a VPS server is exactly similar to the Cloud server and thus you can call a Cloud server as a VPS but you can not call the VPS as cloud server. Given below are some of the key differences for cloud hosting and VPS or VDS hosting. In VPS hosting, one since dedicated server is divided or partitioned into the multiple servers. All these servers are virtualized and thus each of them perform the work as a dedicated server, hence these are also called as Virtual dedicated server or VPS or VDS. But when it comes to a Cloud hosting, we rent the small portion of the huge and Big network of systems that are connected together. (If talking the public cloud) A huge setup of systems that provides resources are inter connected with each other and then these systems are given on rental to clients. You can easily increase your resources as per the requirements and this will be done in a matter of clicks. When it comes to a VPS server, suppose if any machine or even the part of the system fails, you will face downtime as your VPS will go down until the problem is resolved but when it comes to Cloud server, at the time of any failure, the system will be re-routed to any other available physical resource and thus it cause minimum downtime. When it comes to Cloud server, the things are fast and quick. Slot of Every server is available and thus it is always ready to be used in some seconds. But in case of a VPS, you need time to virtualized a dedicated server and then start allotting a VPS to the needy client. This is the reason why Cloud is preferred as anyone can easily occupy any slice just paying the money. But in case of a VPS, you are never sure when all the slots will be sold. Your provided resources may not be completely utilized well if you have hosted only one website on the parent server. You can try getting Bigrock coupons in order to get the best discounts. In case of a Cloud server, you are completely separated. You will get dedicated resources of what you have been told. But when it comes to VPS, what you get is a virtual environment with partioned disk space and bandwidth, however the CPU and other resources of the parent machine is divided equally. VPS companies usually provide you with a minimum amount of resources and that is guaranteed. Take an example, if a VPS package is claiming you to offer 1 GHz of CPU with 512 MB of memory, this doesn’t mean that the memory or even the CPU is not divided into many slices. In case of a cloud, a client is kept completely separated from the data or files of other client, and hence it is highly secure when compared with VPS hosting. Depending on the method of virtualisation, A VPS will be able to offer you with only one OS. But in case of a cloud server, you get the complete freedom to choose among the multiple operating systems. You can easily install or even replace any of the operating system from the wide variety OS available. There are many parameters that you must consider while choosing. If you are looking to choose a Private Cloud then you must understand that VPS will be made available at cheaper price than the private cloud. But, you will suffer from limited amount of features of VPS and also you will have to go through security risks because cloud server is highly secure. Also If you are looking to go for hosting the files on a Public Cloud then you will get it at cheaper price but it will less secure than Private one. But when compared with the VPS, Public Cloud server has is far better and that is the reason why they are getting famous everyday. In case of a Cloud hosting, you get faster network, high security, and good amount of resources. There are many best hosting in India provider companies who offer great services and you can use Bluehost coupon code 2017 discount offers also for buying quality services at decent pricing and see some domain suggestion tools for websites. Thanks. Very nice post, you have done a great job by sharing a difference between the same.